We've all been there... we have a question, and we want an answer NOW! 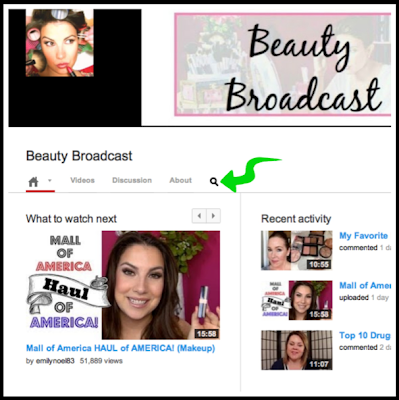 But when websites like YouTube or blogs change-up their layout, finding an answer can be a challenge! Not to mention wading through hundreds of videos on someone's channel to find the one you want to see! (I just realized my next video will be #850) I get a lot of questions in emails and on social networking sites, and it's amazing how often the answer is covered in a video or blog post that I've already done. I do not mind answering those questions and referring you to the right link, however, I thought I'd share with you some ways to quickly find what you're looking for! 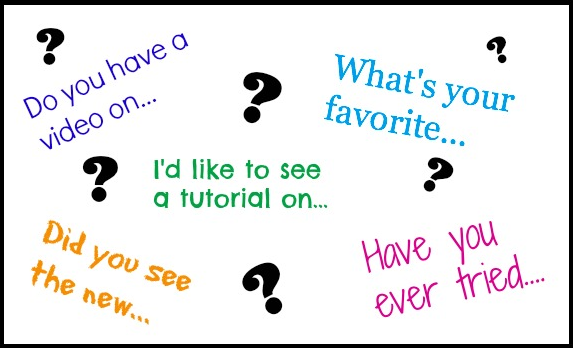 (I'm not saying my videos/blogs contain the answers to everything- wouldn't that be amazing! LOL. But there's a lot of content. And if you still don't find what you need, send me a video/blog request!) This goes for whether you're browsing my channel or someone else's. Here are some methods to try! When you click the magnifying glass though, a search box will appear. This will search the videos from the particular channel page you are on. 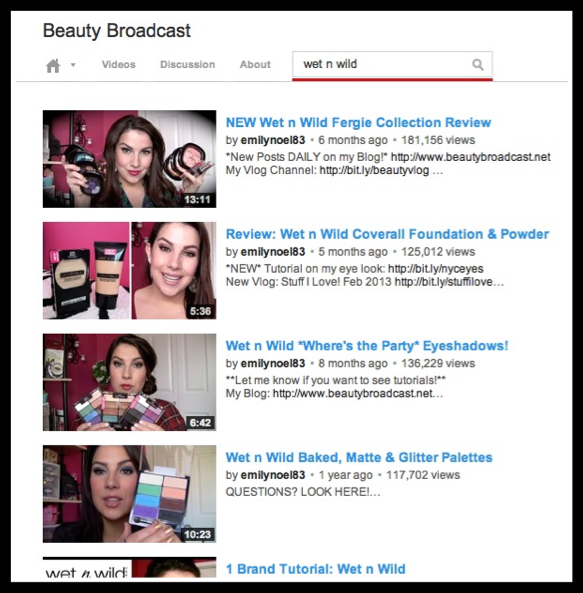 I typed Wet n Wild into the search box, and here I can see all of the videos I've done that feature Wet n Wild. You could also type in things like "best lipstick", "favorite eyeshadow"... you name it! This YouTube search will do its best to find the videos that apply. 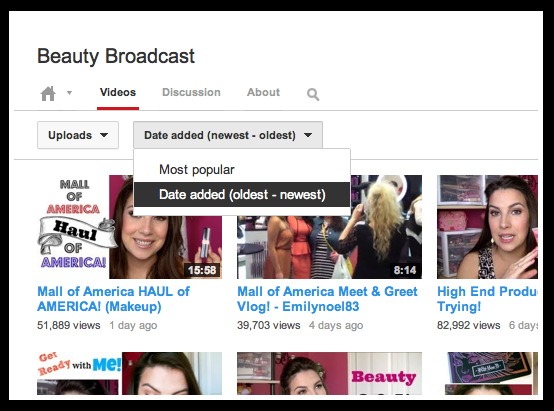 Another handy feature on the YouTube channel page is the "Videos" link. Again, this is placed just under the top banner. If you visit my channel page and scroll down, you'll see my most recent videos and several featured playlists (nearly every video I've done has been divided into a playlist- scroll to the very bottom to see them ALL). What if you don't want to browse the channel according to playlists, but would rather just see all the videos that exist, and perhaps see them in chronological order? If you're reading this, you clearly know how to find your way to my blog! 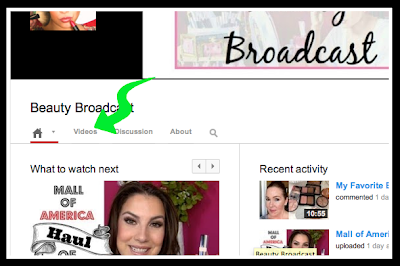 :) If there's a specific topic you want to look up, check out the Search Box at the top left. 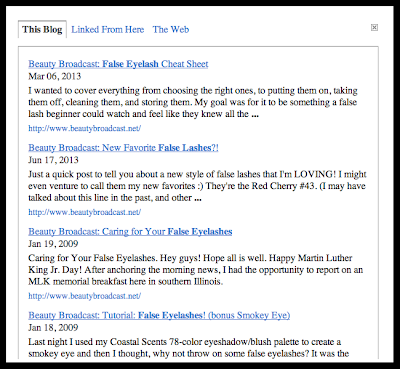 Type in whatever you want and it will search the content in this particular blog. 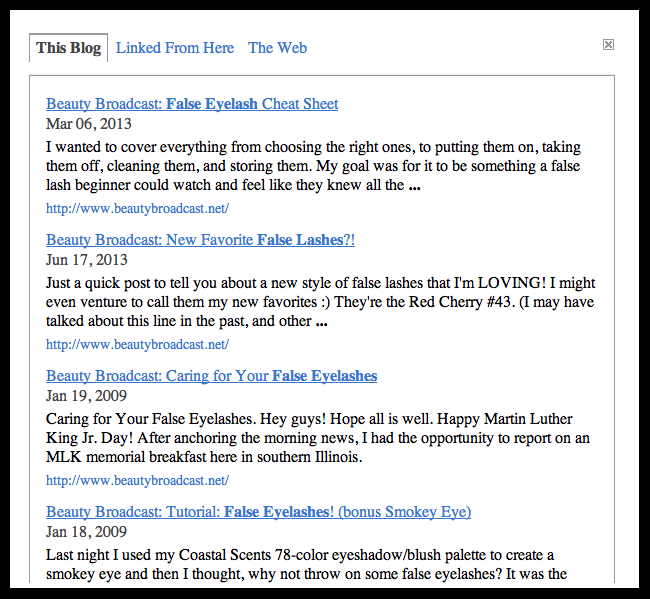 I believe most other blogs have a search feature as well. There you go! 3 tips to help you navigate blogs and YouTube channels to find what you're looking for! Again, if you don't find what you're looking for- please send me a video request! :) And as always, feel free to tweet me a question of any kind and I'll be happy to help! Today's Beauty Broadcast LIVE was filled with good questions! Lots of fun! 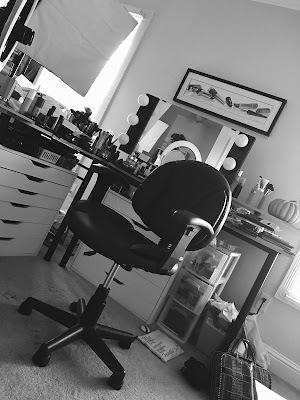 I should take a picture of the makeup room after Beauty Broadcast Live... it's always a mess!! Cupcake has been sleeping on her favorite fuzzy blanket all afternoon. New video coming tomorrow- it'll be a new 1-brand tutorial! Emily, you're so patient with your fans. <3 love ya! Thanks Emily, very helpful. 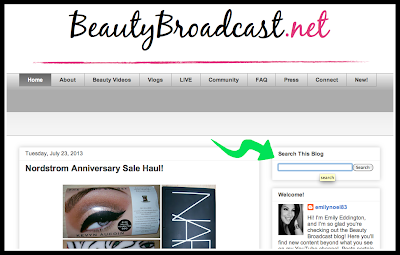 Love your channel on you tube, follow you on Facebook and your blog AND Pinterest!!! Done all of that a million times :) Funny thing..after watching your videos a number of times, sometimes I remember what you wore, or something specific abt your look, and find the video that way. 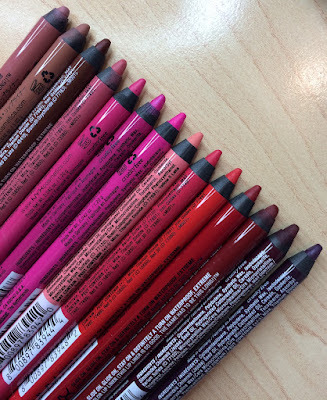 I also make a list on my phone of all the products you recommend, a go to list when I shop. You are seriously the best Emily! I really appreciate the effort you put into your blog post! Your the best! Lots of people will know more about the website and how to manage and run a website in a best way. Lots of interesting things you shared in this post, i really love, i hope this information will useful me to maintaining my online generic viagra product page in a better way. Thanks for your post.